A Closer Look Inspection Services has been performing structural and mechanical inspections of commercial and residential property for 34 years. Infrared technology has developed into a great diagnostic tool for determining adverse condition that are not visible to the naked eye. ACL Infrared Services are a “Green Technology” from the ground up. Our reports are generated and sent in a digital format to save our trees and minimize our carbon foot print. Our scans and surveys allow you to see where your energy cost are going so you can save money, energy and the pollution necessary to generate the energy you are using. Going Green has never been so easy. Our Energy Auditors and Inspectors are Infraspection Certified Level IIII Thermographers. A Closer Look Inspection Service is also part of the United Infrared Network. 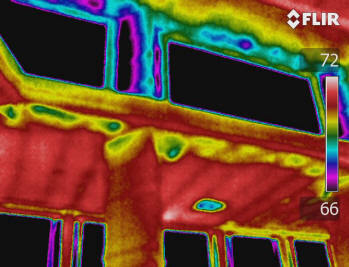 We provide Dallas Infrared Surveys and Dallas Infrared Scans using state-of-the-art high resolution infrared camera technology to provide you with superior imaging quality and to accurately evaluate your thermal conditions. 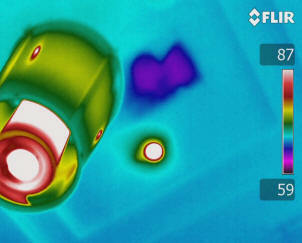 That information is entered into sophisticated infrared reporting software to show you what you normally can’t see. Money flowing out of your home or business.